So what is Fluffy Mail? 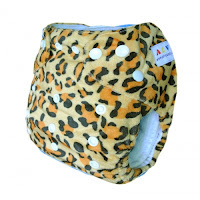 It's packages that are delivered to you full of squishy goodness that is cloth diapers. There's just something special about opening up a package of adorable fluff! 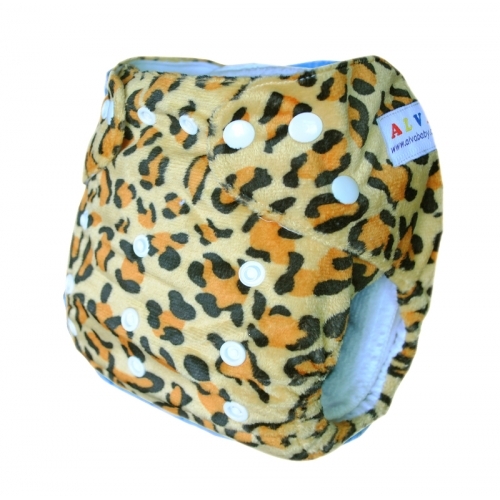 So enter this cloth diaper giveaway here at Why We Love Green to win a 2-pack of Alva cloth diapers --pocket diapers in adorable animal prints (leopard and cow) that are appropriate for your little lion or lioness cub. These are one-size pocket diapers. Two microfiber inserts will be included in the prize! 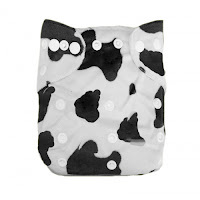 Plus also win a royal blue wet/dry bag to carry around your new animal diapers! 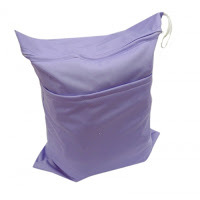 (Wet bag style is shown here, just a different color.) Good luck! 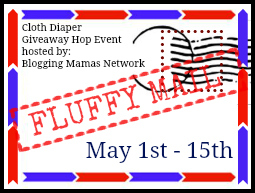 Be sure to enter here using the Rafflecopter form and then hop on to the other blogs also offering fluffy prizes! Good luck and happy fluff! 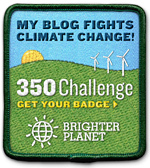 Disclaimer: According to Jenny, So Easy Being Green, the Blogging Mamas Network, and the Fluffy Mail participating bloggers, including Why We Love Green are not responsible for sponsors who do not fulfill prize obligations.